Every race begins weeks before the gun goes off. Preparation, course analysis, strategic planning, equipment tuning, and the review of your impending competition. 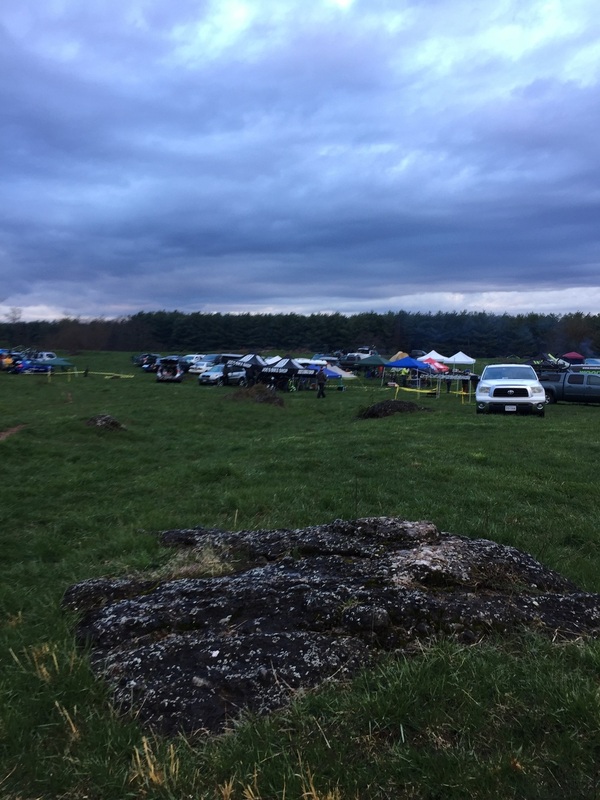 For a race like Baker’s Dozen, a 13 hour relay race that I have raced for a few years in a row now, much of that work has already been done. I know the course, and the type of efforts required, so the training leading into the race was specific for the race. We did actually shift our strategy this year, and we’ll look at that later. And the last pieces then were the weather and the equipment. The forecast was great 10 days out. A bit cold, but sunny and no rain. Then it changed. And it got worse. Then it got even worse. On race day, we drove through rain, sleet and snow to get to the course. It was a pretty big mental blow before we even started! As for equipment, this year I moved over to a Trek Top Fuel, and was very glad I’d have that for the race. Most would think of Bakers and say, “It’s a power course, and really smooth. Why would you prefer full suspension?” Well, that’s a simple one. The course is definitely smooth and very fast. But when you take a closer look, you’ll find that the course can be painfully slow if you don’t keep your momentum intact. There are dozens of spots on the course that have big rocks and roots begging to slow you down. If you don’t navigate these sections quickly, you quickly reduce your speed and subsequently have to accelerate much harder into the next smooth power section. If you can dance your way through the technical sections and maintain your momentum, you ultimately increase your overall speed while minimizing your effort to get back up to race pace. And that’s exactly what the Top Fuel did. Better than any bike I have ever raced at Bakers before (Specialized Epic WC and a Trek Superfly), the Top Fuel took the bumps like a champ, while simultaneously feeling like a hardtail on the twisty course; cornering well, and reacting playfully in the technical sections The new geometry and shortened chainstays are incredible, and perfectly designed. Big kudos to Trek on this new bike. When Bakers is smooth, it is like pavement, but when it is bumpy, it feels like your molars are going to come loose. So as I was building up the Top Fuel for this race, I knew that for my hands to survive 13 hours of cross country type efforts, I would absolutely have to have good grips. The absorption factor of a well-designed grip can’t be understated, even when running suspension. It keeps your hands happy all day. So I went with the best and lightest option out there, ESI Chunky grips. Rain, snow, mud were all in the equation at bakers, but the grips were sticky and comfortable for 13 hours! Another crucial piece of a fast but twisting course is brakes. When to use them, and when not to. This year, once the course settled in from hundreds of bikes rolling on it over the first few laps, it felt like a dream. You could ride for minutes without using your brakes. But when you needed them, you NEEDED them. Keeping off the brakes helps maintain speed, but alternatively using them in the moments of greatest need kept us out of the hospital. I can’t say enough about Magura’s new MT8. They felt so so good out there. When your equipment is perfect, you never think about it. And after noticing how great the MT8s felt, they never crossed my mind again for 13 hours. Light, modulation to perfection and a great confidence builder. What more could you want? On a day with rapidly changing conditions, very fast turns where you are trusting your tires to their limits, it’s extremely important to have two things: speed and traction. Picking a tire without knowing the exact weather conditions you will be in is tough, so I went with a tire combo that would be good all around. I chose a Bontrager XR2 in the front for a bit extra grip in the wet sections and the XR1 in the rear to keep things running fast when the course hardened up. It was perfect. Not once did I lose a front wheel in a tight turn, or feel like I was fighting rolling resistance. They were exactly what I was hoping for. Over a 13 hour relay race, nutrition is far more complicated than it usually is. Typically, I fill my bottles with Infinit, and I race. But at a race where you get breaks between laps, and you’re going REALLY hard during your laps, there’s the temptation to change things up, eat normal food, or whatever is lying around that looks good. I’ve done that in the past, and last year got extremely sick after the race because of giving into those temptations! So this year, I stuck to what I knew works every time: Infinit, all day. I didn’t run low on energy, bonk or have stomach issues. Just what I’d expect. It’s simply the best product for endurance racing. With the equipment dialed in and the nutrition set, race day came and it was all about the weather. With a high of 43 degrees and 25 mph sustained wind, it was not a pleasant place to be. Joe’s Bike Shop Racing Team showed up in huge numbers and we had tons of teams on course in nearly every category. We set up a bunch of tents, propane heaters and huddled under blankets between laps. It was brutal conditions to be racing in, definitely the most challenging of the races history, but we managed and bonded over jokes about our makeshift city. The cold made a big impact and gave us the idea to change our strategy up a bit. Since I was racing in a 3 man team, traditionally, we would take turns doing a full lap (34-38 minutes), and then sit and wait another 70 minutes for our turn. We then thought it might keep us warmer if we broke our laps up into two parts, keeping our laps shorter, but our time to cool down shorter as well. Ultimately, it ended up backfiring as our bodies tried to rev up and down, and our laps and pacing seemed to suffer. Lesson learned. The actual race itself went without incident. Keith Omundson, Ethan Frey and I started fast, blasting off the front on the first lap to put in a solid 2:30 advantage over our main rivals. Weeks before the race we had reviewed the start list, looking for names we recognized, and saw a team (DC MTB) that we thought would be fast. It had a few guys we had raced in the past and sure enough, they were ripping on race day. For the first half of the race though, we were able to gain time every lap over DC MTB to gain a 19:39 advantage after 10 laps. When we saw that, while we were happy to relax a bit, last year was on our minds when we almost blew a big lead and lost to Haymarket. So we throttled things back only a tad and made sure to keep a close eye on the gap. When we were about 13 laps in, the fatigue and cold were setting in heavy. Morale was dropping as were our lap times. The gap was holding around 20 minutes though, so we were content to enjoy that hard work we did earlier. Our transitions slowed a bit, our layers got heavier, and we switched from race mode to survival. After 13 long hours in the cold and wind, we defended our win from last year and took our second Bakers Dozen win! We managed 21 laps faster than any other category, and happily donned all the clothes we had as soon as we were done. I even did my last lap in a thermal jacket and a puffy jacket, and didn’t even get warm! My hot shower after that win was maybe better than the win itself! It was great to take that win given the brutal conditions on the day. Once again, thank you to everyone who made it possible to slog through that race and take the win. The Joe’s Bike Shop support was top notch as always as were the efforts and support of my teammates! 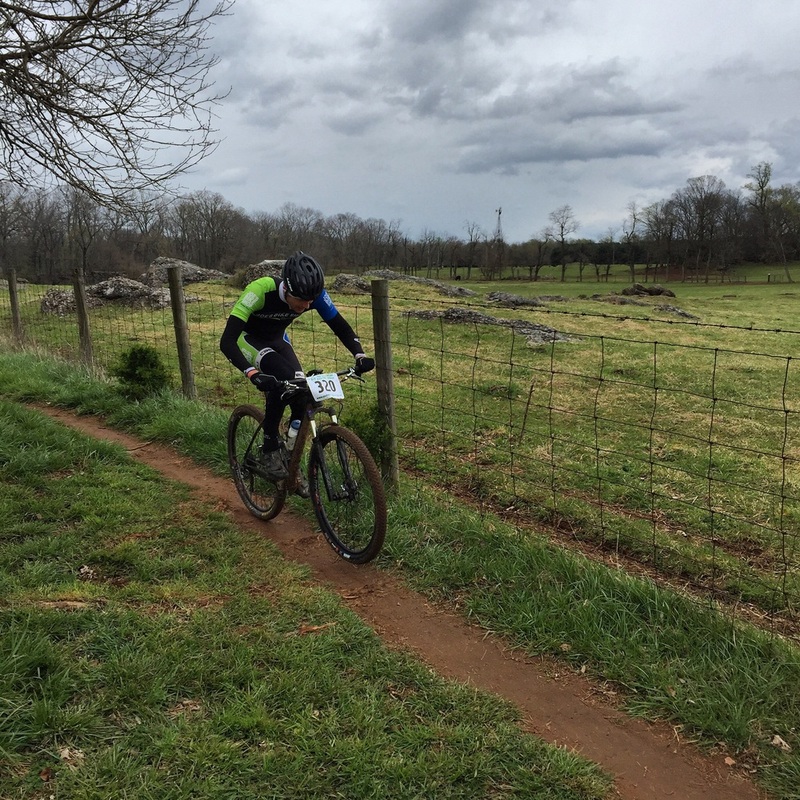 And lastly, thanks to Plum Grove Cyclery and Go Time Racing for putting on this great race one more time.